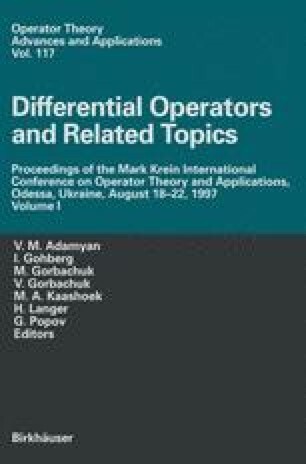 The Mark Krein International Conference on Operator Theory and Applications was held in Odessa, Ukraine, and took place between August 18–22, 1997. This Conference was devoted to the 90th Anniversary of the prominent mathematician Mark Krein who has made fundamental contributions to mathematical analysis (understood in a very broad sense), algebra, and mechanics. His investigations are distinguished by an amazing combination of the finest analytic and algebraic techniques and geometric methods, deep intrinsic unity, and interrelation between classical and modern problems raised by the development of both pure and applied mathematics.